Done right, searching on your own for a qualified software outsourcing partner that perfectly aligns to your needs can take 5 months or more. 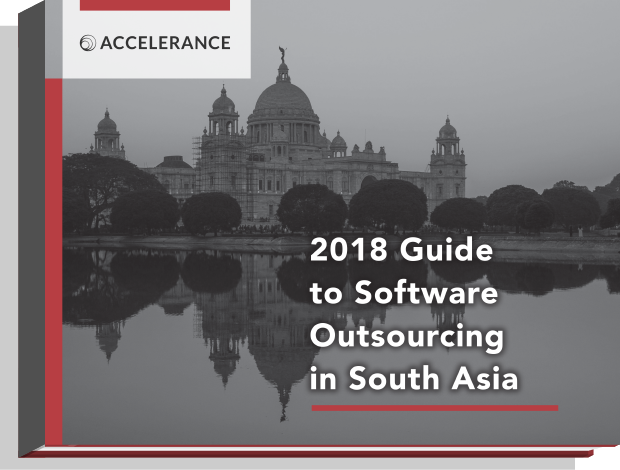 Accelerance partner selection services guide your company to the top software companies in South Asia that are fully-investigated and proven to deliver. Education and English proficiency levels, political stability assessment, economic standing, global competitiveness scores, timezone and travel information.